A cashier nearly defrauded Kmart of $145 million in stock shares by using forms downloaded off the Internet and a signature from the company's treasurer copied from a paycheck. 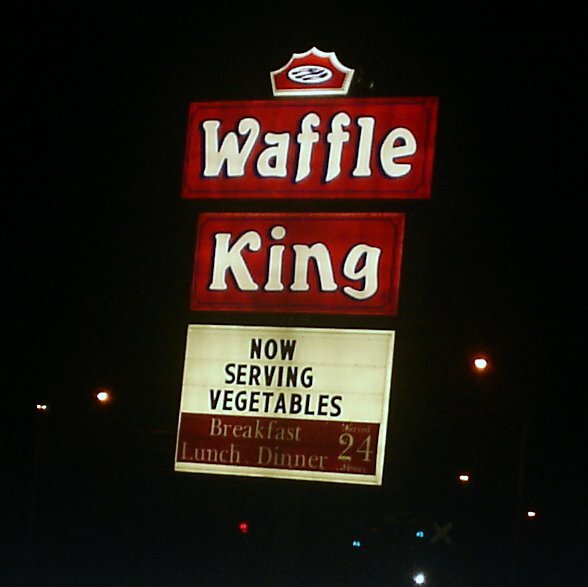 I thought waffle was a vegetable. Tom Wolfe's obituary for Hunter S. Thompson is the best I've read. My soon-to-be wife, Sheila, and I gave the waitress our dinner orders. Hunter ordered two banana daiquiris and two banana splits. 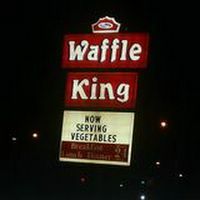 Once he had finished them off, he summoned the waitress, looped his forefinger in the air and said, "Do it again." Without a moment's hesitation he downed his third and fourth banana daiquiris and his third and fourth banana splits, and departed with a glass of Wild Turkey bourbon in his hand. The NameVoyager. Warning: This is surprisingly addictive. Jeff Probst casts a vote against a past Survivor contestant. Said Probst, 'Here is the thing with Johnny Fairplay. It becomes personal. On the show, Johnny Fairplay is a home run. I wish we could have that guy on every season. To his credit, he knew what we wanted and he gave it to us. Two companies are responsible for the data used by online mapping services and GPS manufacturers. Now you know who to blame if your street doesn't show up. I was wondering what was causing my copy of CityDesk to crash. Now I know. Thanks to the folks at Fog Creek Software for pointing out the source of the bug and the workaround until Microsoft offers a fix. This bug appears to be caused by Microsoft KB891781. We have found numerous other products on the web that have the same problem since this hotfix was released by Microsoft. We are awaiting a reply from Microsoft on what appears to be a quite severe bug that they introduced with this "hotfix." We have spoken to Microsoft and they confirm that they can reproduce the bug. Five tips for efficiently handling e-mail. Update: Jason Clark says if your inbox has more than a screenful of messages, you're rude. He also offers tips for filing e-mail. "Many Americans think that they and their politicians have become more conservative; yet, when it comes to some fundamental questions, they have actually shifted to the left." The flying submarine. There is very little information on the Internet about Houston Harrington, the inventor of the "combination airplane and submarine." The Rev. Houston Harrington was owner of the Atomic-H record label and the uncle of blues legend Eddy Clearwater. In fact, Harrington gave Clearwater his first recording opportunity. There is no evidence this craft ever flew. Or sank. The Richard Scrushy trial is being blogged at al.com by The Birmingham News. Reporters are posting updates during breaks. In yesterday's testimony former HealthSouth CFO Bill Owens caught Scrushy on tape fretting about the possibility of being caught on tape. Here is an important case to watch for online publishers. A U.S. court gave Yahoo a minor victory Thursday in a filling by human rights groups attempting to apply French law to content hosted on servers in California. District Court Judge Jeremy Fogel of San Jose ruled that if Yahoo wanted to continue selling items on a site that could be accessed around the world, the company had to assume the risk that it could violate laws of other countries and was subject to more lawsuits. But in August, the Ninth Circuit Court of Appeals reversed Fogel's decision, saying he had no authority to hear the case. The two-sentence ruling Thursday does not explain how the judges came to their decision but forces both sides to argue their cases again in front of an 11-judge panel, likely this spring. The new opportunity for a courtroom victory, Yahoo executives said, could benefit all Internet service providers and anyone who publishes content online. 'If American companies have to worry that foreign judgments entered against them might be enforceable, it could end up with companies censoring their Web sites,' said Mary Catherine Wirth, senior corporate council at Yahoo and a professor at University of California Hastings College of The Law. The secret history of the Hope Diamond has been revealed. The research helps confirm the Hope Diamond as originating with a 115-carat stone found in India in 1668. That stone was sold to King Louis XIV of France who had it cut into the 69-carat French Blue. The French Blue was stolen during the French Revolution. Just over 20 years later, after the statute of limitations expired, a large blue diamond was quietly put up for sale in London, and eventually Henry Philip Hope purchased it. Finally donated to the Smithsonian by jeweler Harry Winston, the now 45.52 carat stone is the world's largest blue diamond. The New York Times has a story today on digital distractions and all of the little things, from e-mail to checking weather, that keep us from getting a task completed. Word of mouth marketing white paper (via CorporateBloggingBlog). This short movie by Jon Udell tracks the evolution of the heavy metal umlaut on Wikipedia (via Radio Free Blogistan). Update: Here is the current heavy metal umlaut entry at Wikipedia. Google has launched a new mapping service. It has a slick interface that lets you smoothly move around a map and the roads are extremely well drawn. Curves are rendered as, well, curves and not jagged lines. Wings to the Orient: In the late 1930s the Sikorsky S-42 Flying Clipper, also known as the Pan Am Clipper, helped open up the Pacific for passenger travel and allowed for trans-Pacific flights from the United States to as far away as Hong Kong. Ten of these magnificent flying boats were manufactured and all 10 were either scrapped or destroyed in accidents. You can see the original patent for the S-42 here and photos here, here and here. Here is some evidence to back up what everyone already knows, that a high Google ranking can mean more traffic for an Internet-based business. What's interesting are the specific results shared by a search engine optimization firm. Oneupweb found that the first month a site appeared on the second or third page of Google results, traffic increased five times from the previous month, and in the second month, traffic was nine times greater. The number of unique visitors tripled when a company moved up from page two to page one, and in the second month doubled again to more than six times the traffic it received before it broke the top 10. More importantly, Oneupweb discovered a correlating impact on sales: 42 percent more the first month, and nearly double the second month.